What do you cook for dinner when you’re dead on your feet tired? 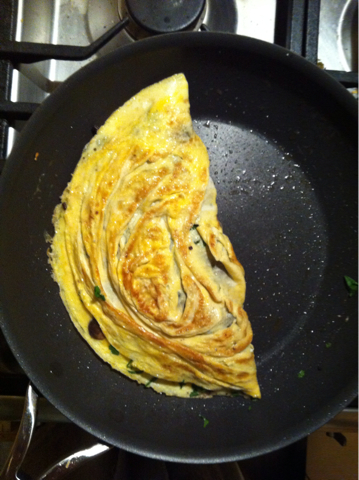 At our house, it’s often omelette. It’s rare we don’t have at least some eggs and a bit of cheese in the fridge, and on this occasion even mushrooms! A feast! It’s cooked in five minutes, uses only one pan and tastes bloody good.